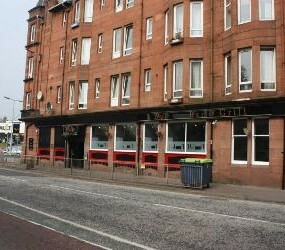 1901 Bar & Grill, a leading quality gastro pub in Glasgow’s southside, has announced its live music programme for September. Whilst Acoustic Butterfly will perform every Sunday from 4pm, the Saturday night programme will see Heavy Load perform on the 3rd September, Nearlymen on the 10th September, Whisky River on the 17th, George Lindsay Band on the 23rd and Lil’ Charlie and The Easy Riders on the 24th. And music lovers are invited to choose from a broad selection of premium lagers, cask ales, malts and wines or try out 1901’s new grill which offers a menu comprised entirely of freshly prepared meals, with a focus on fresh cuts of prime 28-day Aberdeen Angus beef, seasoned and char-grilled for real flavour. Recently awarded a prestigious Cask Marque, an accolade recognising the quality and care of cask or ‘real’ ales, last year 1901 won the best individual bar/pub award in the Best Employers in Hospitality.